Heraldry in the (Military) News! During our short stay in Chicago, we drove by the Chicago campus of Northwestern University. The University itself does not use a coat of arms, but rather has adopted a seal as its logo. 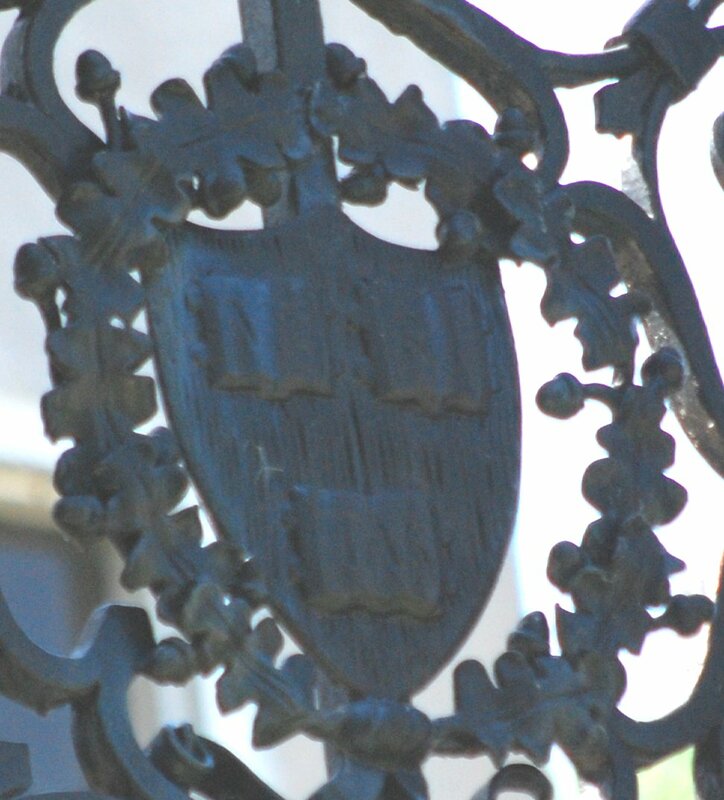 However, on the southeast corner of the downtown campus there is a large iron gate which has the University’s seal upon it, as well as three coats of arms. The gate itself is really quite a piece of art. What struck me especially, though, is that I immediately thought I recognized one of the three coats of arms (the one in the far left panel in the photograph above), but not as one that belonged in the area. Having photographed it and then played around with the contrast and brightness a little bit to better bring out some of the details, I realized that I was correct in my identification of this bit of heraldry. Though hard to make out from where I took the photograph, the three books on the shield have the letters VE - RI - TAS on them, making this shield the arms of Harvard University. Harvard is, of course, located in Cambridge, Massachusetts, which is a long way by any measure from Chicago, Illinois. It was a most unexpected find, to say the least. I have not been able to find (at least in my searches on-line) any information about the gate itself, nor of the coats of arms upon it. So I have, at least at this point in time, no idea why the arms of Harvard are emblazoned in metal on a gate on the Chicago campus of Northwestern University. But it does just go to show, I suppose, that when you are looking for heraldry, you just never know what you’re going to find! 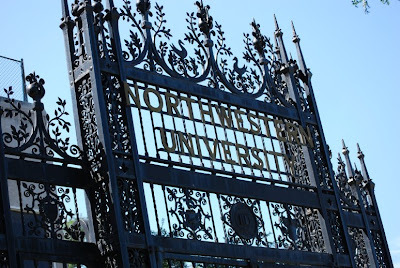 These gates represent part of a memorial made by George Alexander McKinlock in honor of his son (George Alexander McKinlock Jr.) who was killed in World War I. Harvard University received $500,000 and Northwestern was pledged an equal amount. The Great Depression intervened and Mr. McKinlock's payments were returned. The gate is all that survives.